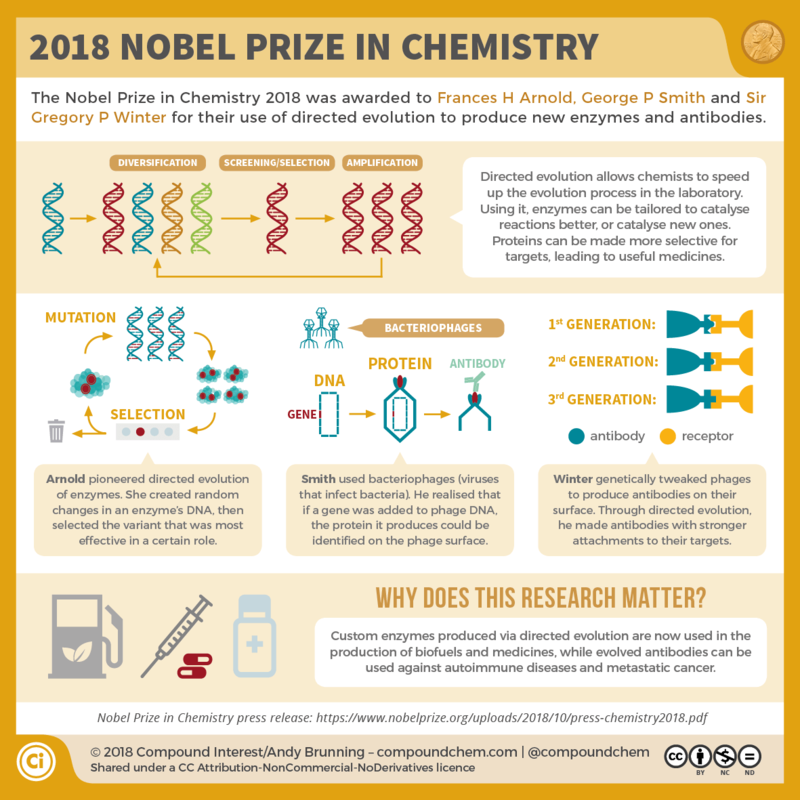 The last of the 2018 Science Nobel Prizes is awarded, and it was finally the turn of chemistry. 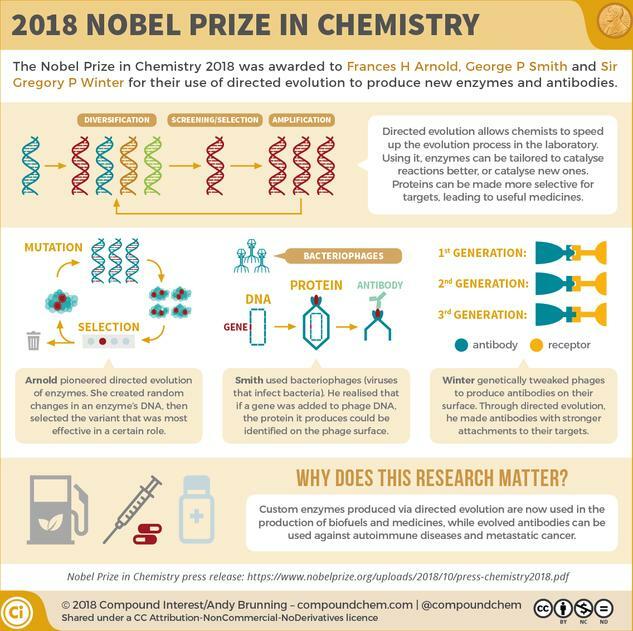 The 2018 Nobel Prize in Chemistry was awarded with one half to Frances H Arnold for her work on the directed evolution of enzymes, and with the other half jointly to George P Smith and Sir Gregory P Winter for their work on the phage display of peptides and antibodies. This graphic takes a look at the prize-winning research.